The Quota club here in Tenterfield have a fashion parade as their main fundraiser each year. It’s held in the garden of one of the members at four o’clock in the afternoon. Most of the ladies sew, knit, crochet and most importantly (in a town like Tenterfield) they Bake. I mean they seriously bake. Scones. Proper scones of many varieties. They also all seem to have the amazing talents for making jams, pickles and chutneys. None of the above fall into my talent category. So I decided I’d make some ‘paper’ products. 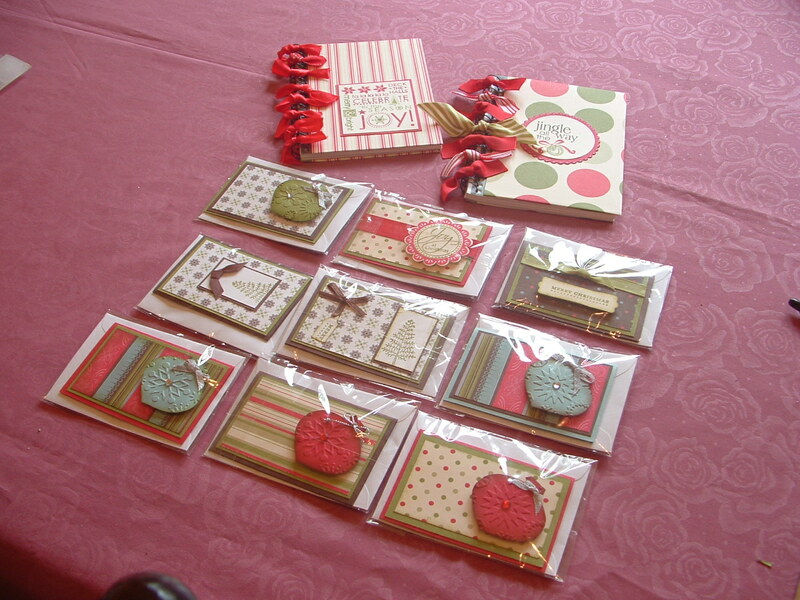 I had heaps of retired DSP and ribbons so set about making these gorgeous little gift cards. They are the inspiration of Dianne Pickford who is on my team and comes from Alstonville. I also spotted these little note books (and who doesn’t need a little note book??? 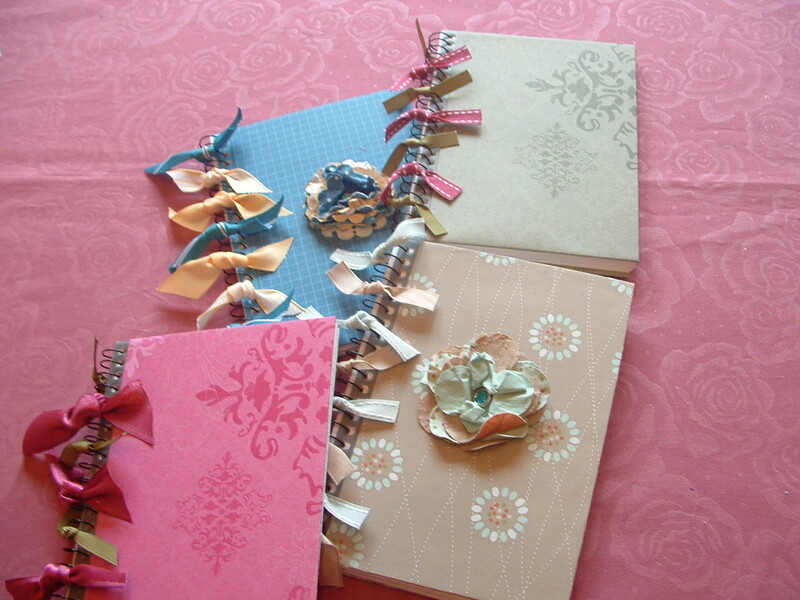 ), covered them with some gorgeous DSP and trimmed it off with a punchie flower and some ribbon on the spiral book spine. They look sensational. So if you are out and about on 27/11/10 near Tenterfield, come along to the Festive Fasions at Four. 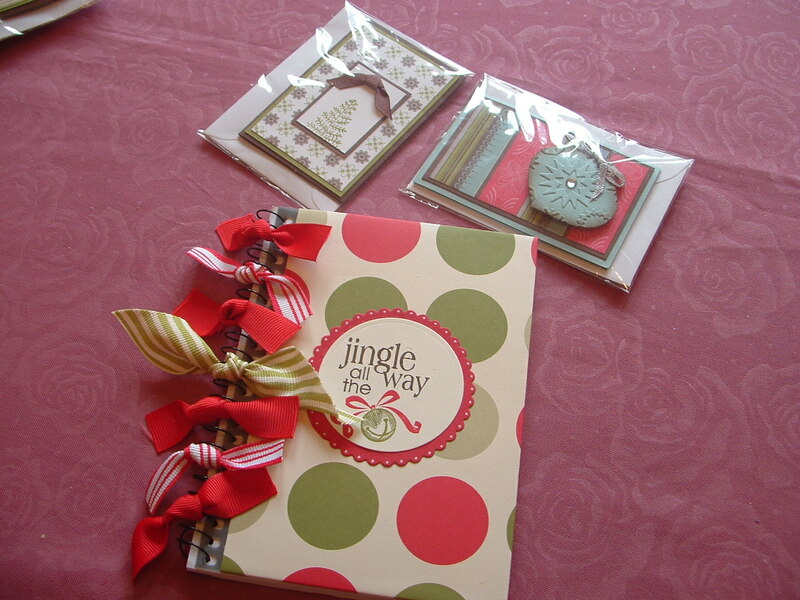 I have my TAFE class tomorrow, so come on back and check out all the goodies that we will be making. These are absolutely delightful Jacqui! I am sure they all loved their little goodies you made them. Clever lady!